This past weekend we took a road trip with some friends and one of our stops was for a Mexican meal. 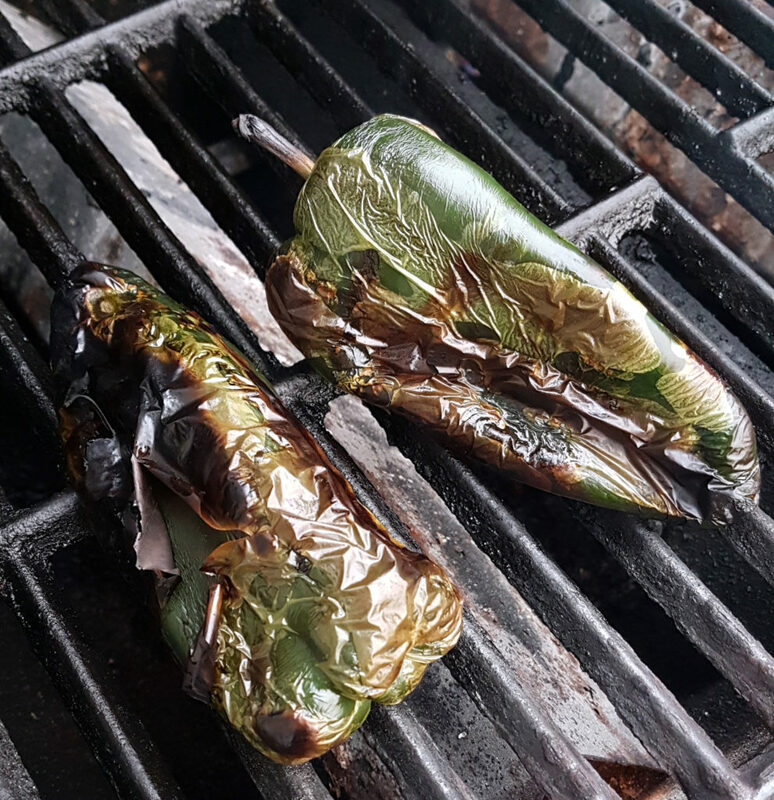 We were chatting and our friend mentioned how she loved the stuffed poblanos and I told her about the poblano and cheese steaks that I’ve made before. Meat. Cheese. Poblano peppers. All in one tasty bite. 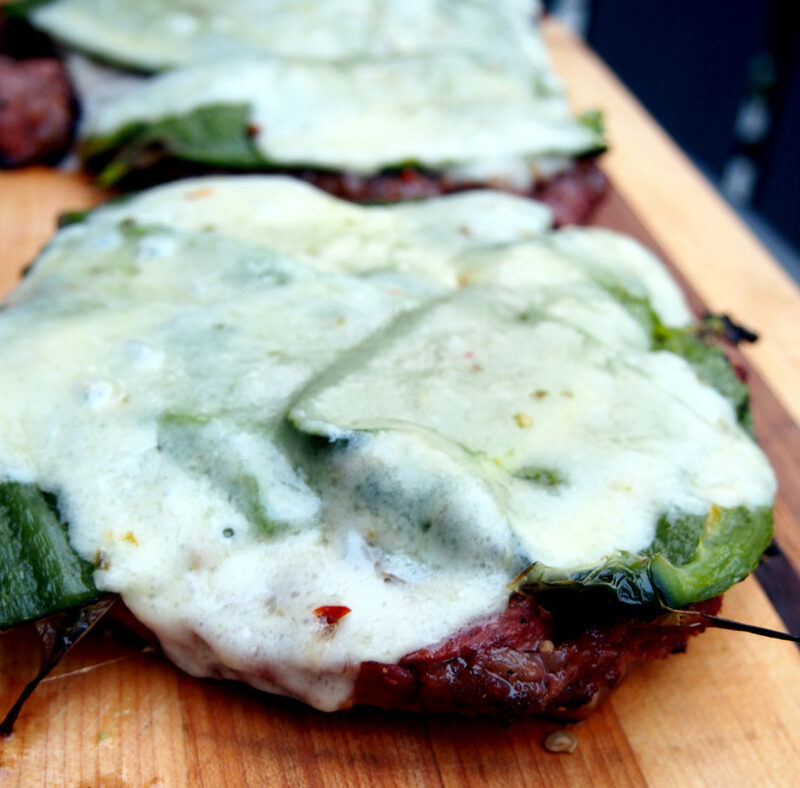 Poblano steaks are super easy to make. 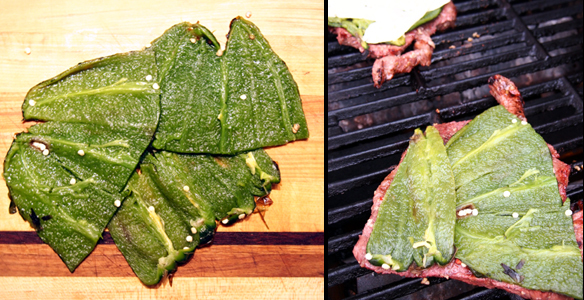 Just start with some tequila marinated steaks (marinate for least an afternoon), then add poblanos. Start by roasting the peppers on a hot flame. Blacken them on all sides. Place them in a paper bag or bowl covered with saran wrap. This will help with the next steps. Once the peppers have had a chance to sit, the skins become easy to remove. Start by cutting off the stem end, then scrape off the charred skin. Make a slit down one side of the pepper. Open the peppers and scrape out the seeds. Your peppers are now ready to top the steaks. Grill the steaks to the desired doneness. Top with a layer of the roasted poblanos and a layer of cheese (I like a melty cheese with flavour, such as slices of herbed havarti). Let sit for just a minute or so on the grill. Once the cheese has melted the steaks are ready! They won’t take long!